If you’re trying to find a Stone Sealer Houston service for your tapestry, you may be having some problems with stains and scratches. Do you have a residential concrete paver that’s showing some major signs of wear and tear? Perhaps your commercial travertine is beginning to deteriorate and you’re unsure of what you need to do next. If this sounds like you, you’ve come to the right place. The TSSPRO Sealant can solve your problems in a very affordable way. The TSSPRO-100 is a very reliable sealant you can count on. This was the first product to hit our inventory, and we couldn’t be prouder of its success. It’s multipurpose, giving you options for your many residential and commercial surfaces. It can be difficult finding the right solution to help you in more ways than one. With this on your side, you won’t have to worry about these issues entering your sealing process. Are you trying to properly seal your limestone? If so, there are many different routes towards completion you could take. Depending on where your limestone is located, you might need to employ different solutions. Pool decks, patios, and walkways all made of limestone can be very different. However, the TSSPRO-200 sealant is something that can be a consistent solution for you. Limestone sealants need to be able to allow oxygen to penetrate the sealant’s barrier so it can properly ventilate. Without air, it will deteriorate and crumble much quicker. This is why you’re going to want this high quality sealant instead of one that’s acrylic and ineffective. Make sure you choose our sealants when you’re trying to figure out the perfect solution for your sealing. We’ll give you the right products for competitive prices. Sealing concrete is another part of our Stone Sealer Houston products and services. This is a very tough stone, and many people make the mistake of thinking it doesn’t need sealant. While concrete pavers are very strong and durable, you’re still going to have to take care of them to maximize their lifespan. If you’re looking for the best way to do this, we suggest the TSSPRO-300 or the PRO-400. These are semi-gloss and high gloss finish sealants that can restore the natural sheen of your pavement. Are you looking for something that can offer you ultimate protection? Perhaps you’ve got some mold and mildew problems on your stones and you’d like to make sure this never happens again. Maybe you’re even looking for a sealant that’s waterproof and fireproof. If this is what you’re after, the TSSPRO-700 is perfect for you. This is an incredibly strong sealant that can protect your surface for years to come. Our impenetrable sealants are here to provide our valued customers with the results they’re trying to experience. 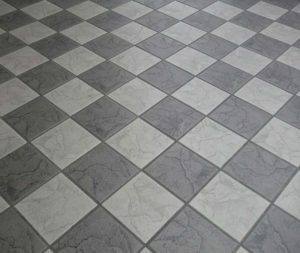 All of our products are commercial grade quality, but you can use them for business as well as your home. Houstonians are constantly changing their lifestyles and becoming busier as time goes on. If you’re someone who has residential needs that are just as important as taking care of your business, our professionals are here to help. You can trust our products to provide you with solutions that last you a long time. Sealants are important for a medley of reasons. Perhaps the most obvious one is the fact that it will help protect your stone from stains, scratches, and other types of damage. The TSSPRO Sealant will assist your surface for years to come. Organic and inorganic external factors can really take a toll on nearly any surface. Because of this, you’re going to need to make sure you’ve got the right solutions and protections. If this is something you’re struggling with, our professionals can make sure you’ve got the right solutions on hand. Finding the right sealant is important, but it’s important to remember that you’ll need to handle your cleanings regularly. Many people forget to keep track of sweeping and mopping, two things that will go a long way towards keeping your stone in great condition. Whether you have concrete or travertine, it’s important to make sure you watch it closely. Allowing stains and splotches to set in for a long time can have terrible consequences. It will make your restoration much more difficult in the future, and this is the last thing you want. Contact us if you’re trying to figure out the right way to alleviate these struggles. Our prices are affordable, accessible, and competitive. If you’re trying to find the right products that can give you the results you’re looking for a fair price, the TSSPRO Sealant is the perfect solution for you. We provide customers with high quality; all of our sealants are commercial grade and made for both home and business uses. Contact us if you’re trying to find the right answer for your sealing needs. 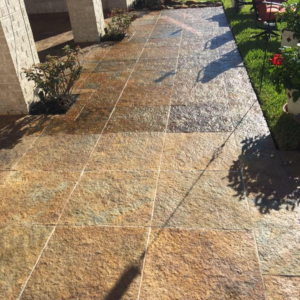 It can be very difficult to find a Stone Sealer Houston you can trust. Everybody struggles with this at times, and if you’re not an expert, you might not know where to go or who to trust. If this is your struggle and you’re ready to start finding solutions, the TSSPRO Sealant is here to help you. Contact us today at 888-958-0556 for more information on our services and products. Our professionals are waiting by the phones, and they’re prepared to provide you with details about what we offer. Let’s work together to help you find the right product for your stone. Houston is the fourth most populous city in all of America. As a cultural hub for many people around Texas, Houston is a great place to visit if you enjoy entertainment, arts, and other culture events. Our scene continues to grow and flourish, and we’re always looking for the next great crop of artists to join us. Houston has one of the youngest populations in the nation.